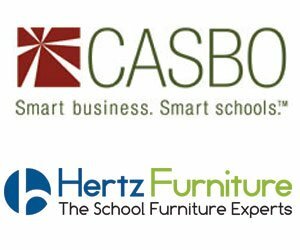 Hertz Furniture, the premier school and office furniture supplier, has selected the first winner of its 2012 Grant Program for CASBO members. The lucky recipient is a second grade special education autism class on the J.H. McGaugh campus of the Los Alamitos Unified School District. The class will receive a $3,000 grant for premium Hertz Furniture, which includes classroom furniture, cafeteria furniture, mobile science labs, and more. The Grant Program was open to schools and districts in the State of California in good standing with the California Association of School Business Officials (CASBO). Proposals were accepted between April and May 2012 with three prizes to be awarded. To qualify, applicants submitted a proposal outlining how their school would utilize the new furniture. The J.H. McGaugh School hosts all of the elementary special education classes for both the larger Special Education Local Plan Area (SELPA) and the local district. The school is already home to two award-winning regional autism classrooms – a kindergarten and first grade. With the $3,000 prize money, it plans to outfit a new second grade regional autism classroom. "With funding from Hertz Furniture, the special education program at J.H. McGaugh will be able to continue its tradition of excellence in facilitating student learning for severely autistic children at the highest level and furnish the classroom with the materials teachers need to be successful," says Mark Young, Client Relationship Manager for Hertz Furniture Systems in the Southern California Los Alamitos region. Among the items already selected by the teachers and students are Inspiration Classroom Chairs, Educational Edge Horseshoe Tables, and Hercules Activity Tables, which enable the creation of small-group learning areas in the classroom. "Every piece of furniture will be put to great use," says J. H. McGaugh Elementary Principal Bill MacDonald. "These activity tables are golden and will be used every day." "The value of the autism program was something that really spoke to us," says Saul Wagner, president of Hertz Furniture. "We understand the integral role that proper classroom furniture plays in educational success and will continue to provide products which meet special needs and challenges in the educational environment."